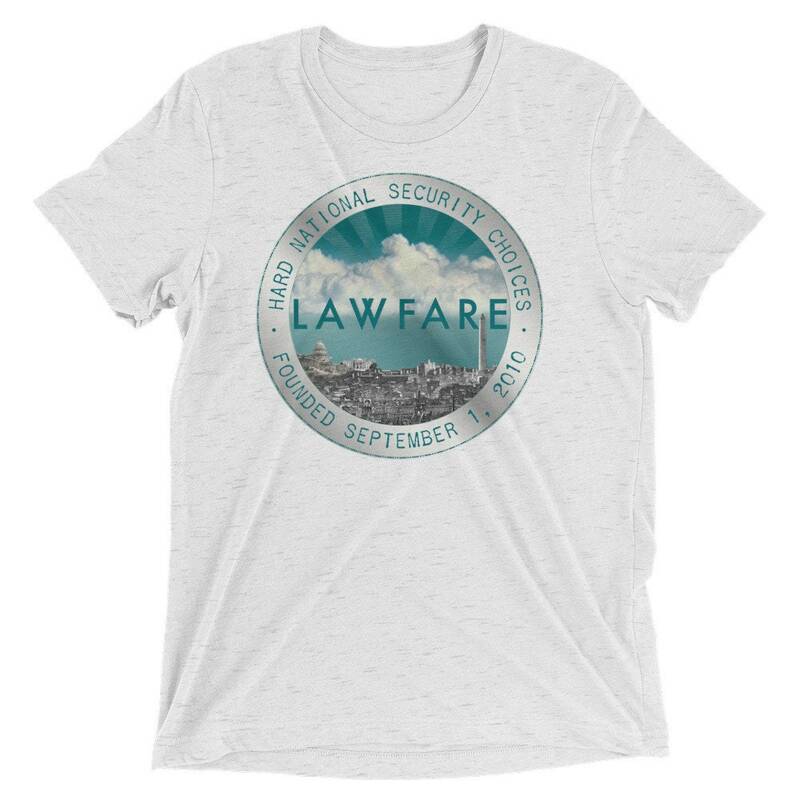 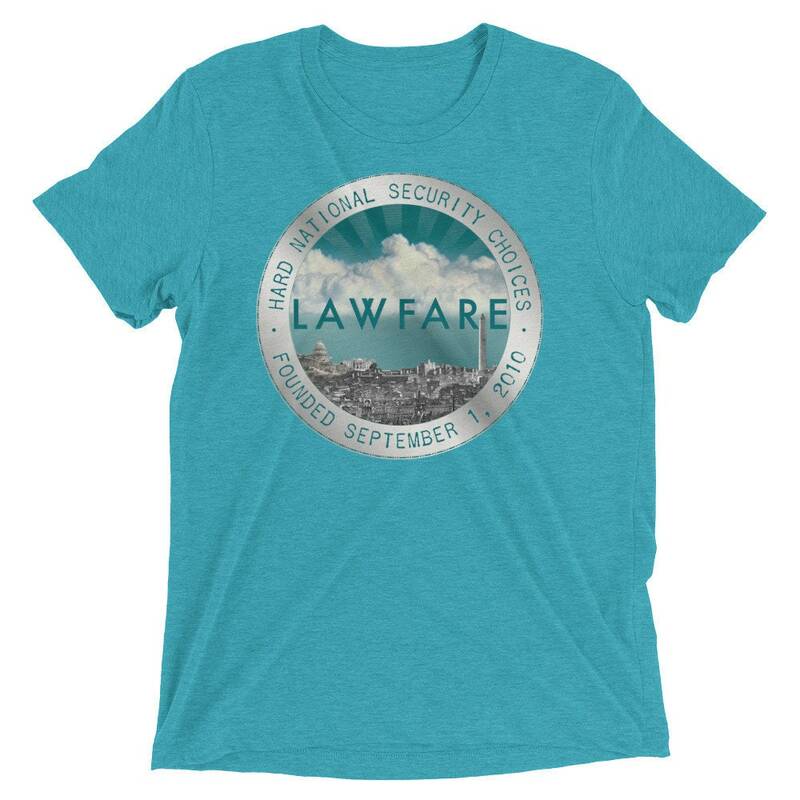 The Lawfare badge, influenced by old rubber stamps and notary punches, was recently featured on one side of the inaugural Lawfare challenge coin. 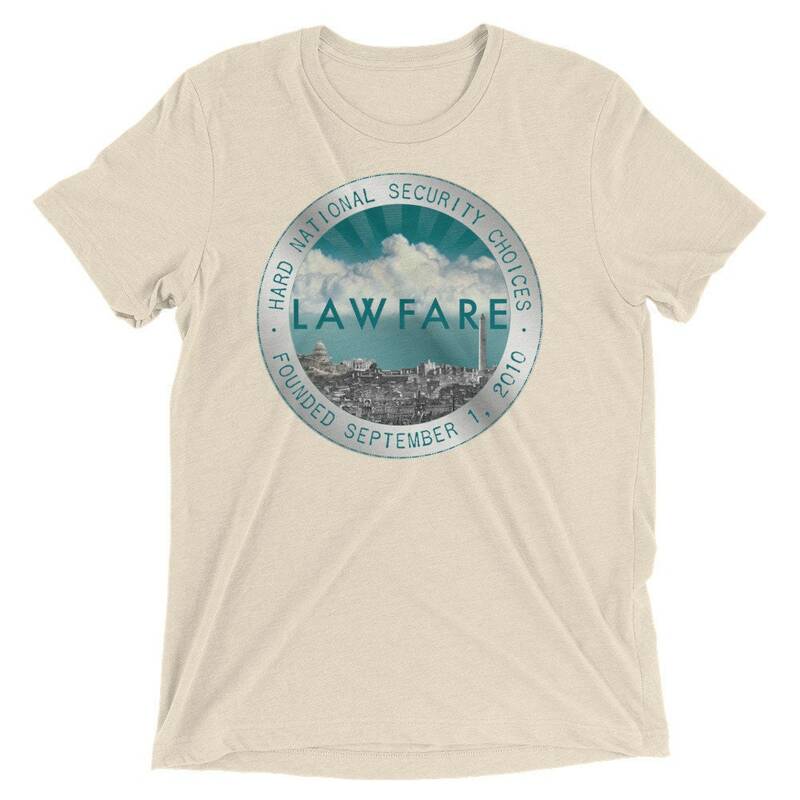 The reverse side of the coin depicts the figures of Justice and Authority as displayed in the Circuit Court of Appeals Court Rooms at the E. Barrett Prettyman Federal Courthouse—but updated with the modern accoutrements all National Security podcasters and bloggers need: microphone, laptop, and whiskey. 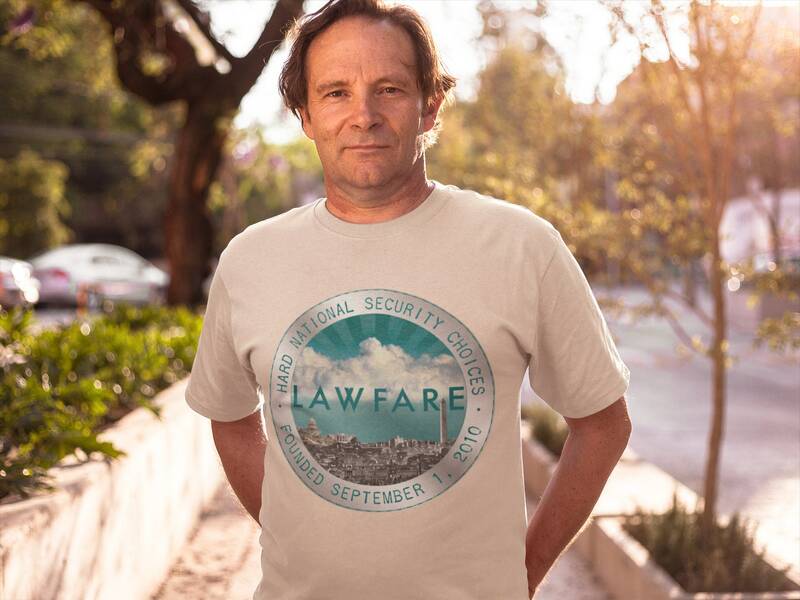 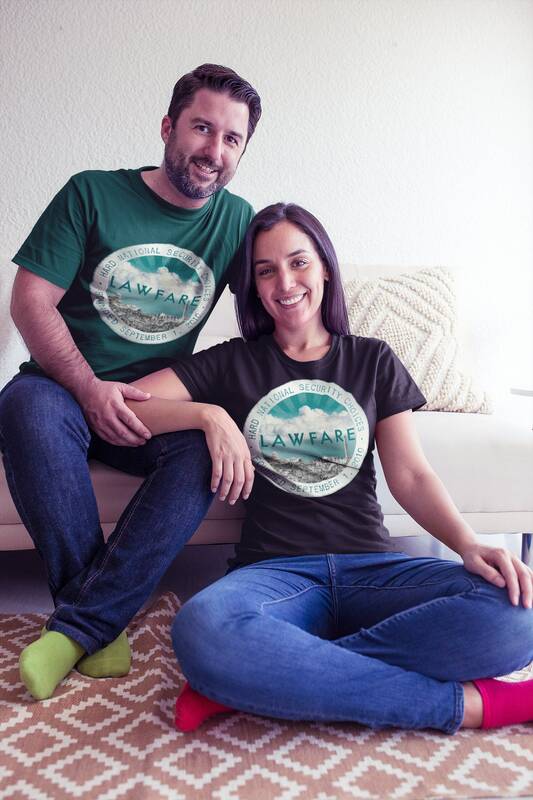 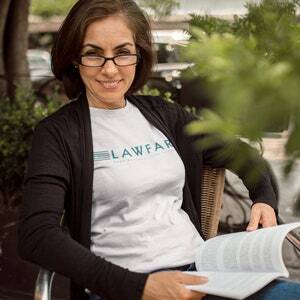 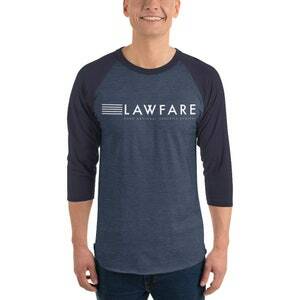 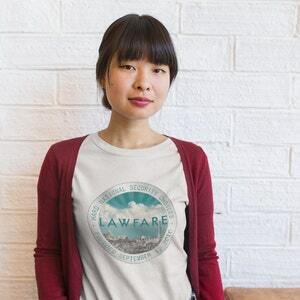 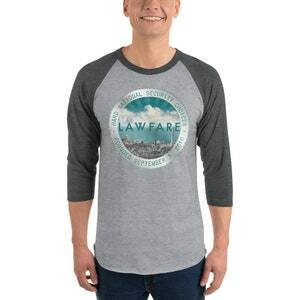 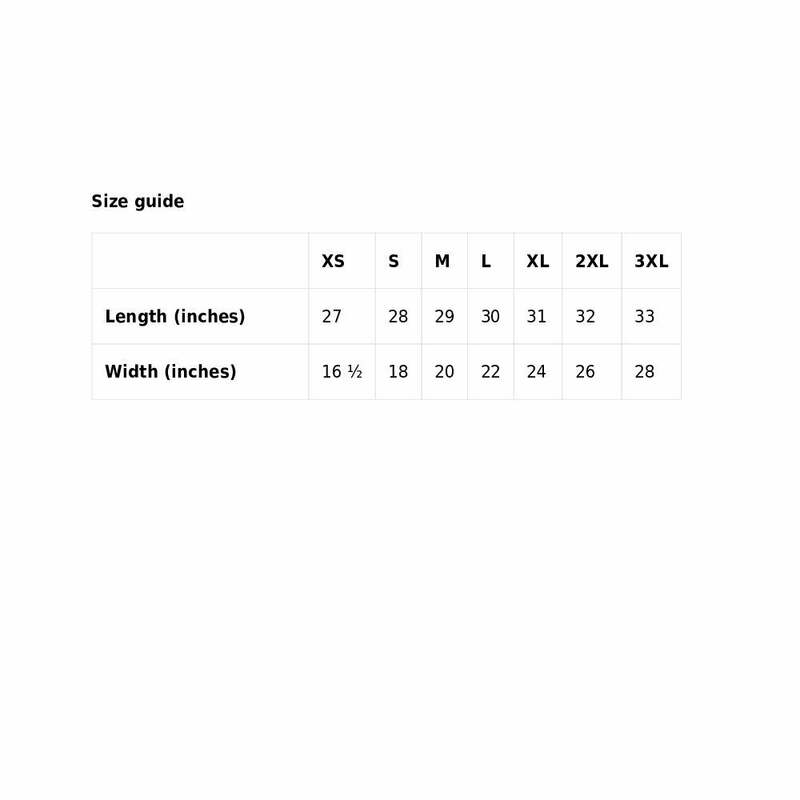 The front of this shirt features the Lawfare badge, while the back features a small version of Justice and Authority at the collar, just a little extra for lovers of all things whimsical.